Hawaii Loa Ridge is one of Oahu's more prestigious, luxurious, and gated neighborhoods. Located on the south shore of Oahu just outside of the metro area Honolulu along Kalanianaole Highway just before Hawaii Kai. Hawaii Loa Ridge as its name describes is located entirely on a ridge. Most, if not all homes have wonderful ocean views. 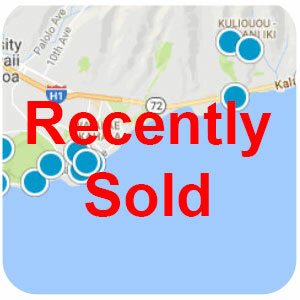 While some also offer views of Diamond Head and/or Maunalua Bay area in Hawaii Kai / Portlock area. There are just a little over 500 homes located on the ridge with a few vacant lots still available to design and build that perfect luxury home. Hawaii Loa Ridge trail at the very top of the Hawaii Loa Ridge community is popular with hikers as well as residents, but not to worry the number of hikers allowed at one time is very limited, so residents can enjoy a generally uncrowded trail. Great for fitness buffs, avid hikers, dog walkers, and nature enthusiasts. Hawaii Loa Ridge also has a private clubhouse with tennis courts for its residents. 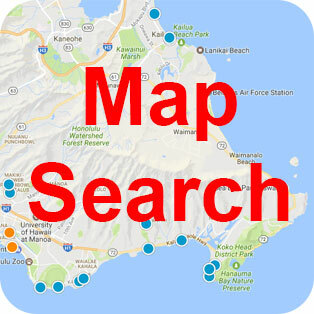 You can see more information on the Hawaii Loa Ridge Homeowner's Association website.